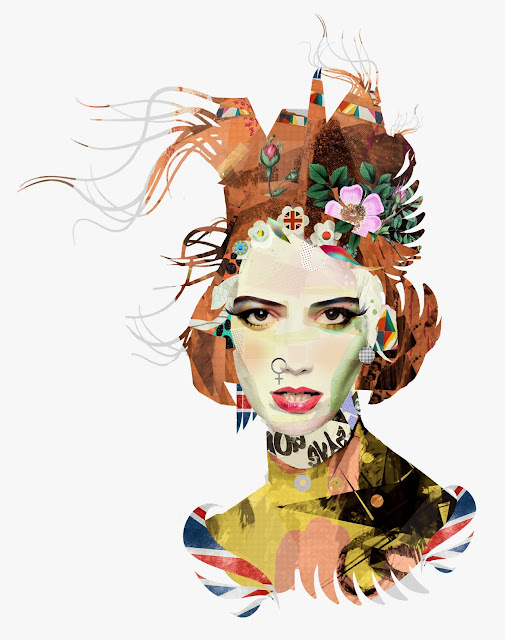 Digital collage illustration of fashion model Daisy Lowe by Giulio Iurissevich. The latest digital collage from fashion illustrator Giulio Iurissevich. British model Daisy Lowe as, The Queen. Featured in Fault Magazine. Check out this interview with Giulio on Fault Magazine.